In 2004, the superhero genre was still pretty young. There were some hits here and there, but the juggernaut that was the MCU had not exploded onto the scene yet. Yet, in 2004 one of the best superhero films premiered. Even then, it offered more than just a genre film. There was so many different layers to the story that it was more like a family film, that just happened to have superheroes. Flash forward 14 years later, and we have The Incredibles 2. 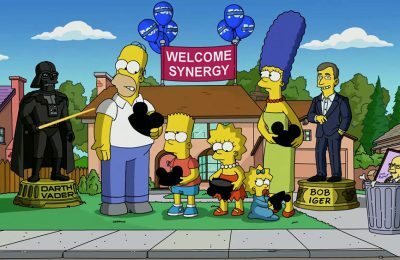 While it is a superhero film, at least on the surface, when you dive down into it, it’s a story about a family that is changing. The movie picks up right where the first one left off, with the Underminer trying to take over the city. We see the family spring into action, but like any parents would, they leave the kids behind doing the menial stuff while they do the heavy lifting (and stretching). Things go bad, and whatever hope they had for making “Supers” legal again go right out the window. And the whole thing is put into motion. The action is pretty solid and keeps you glued to the screen. There is enough happening that it’s easy to follow along, but it’s non-stop, which is good. The action that does happen is really intense, and the finale is nail biting. Director Brad Bird keeps things paced out evenly, which is a wise move. Of course, the three original characters are back with Frozone, Elastigirl and Mr. Incredible, but the kids are played by different actors. If you played them side by side, you might be hard pressed to tell which is which. The comedy elements are also hilarious, and often side splitting. Jack Jack steals the show, as no one but us really knows that he has powers. The discovery is hilarious and fitting. We wont tell you what happens, but Guardians of the Galaxy isn’t the only superhero flick to feature a raccoon with tons of attitude. The focus wisely switches focus from Mr. 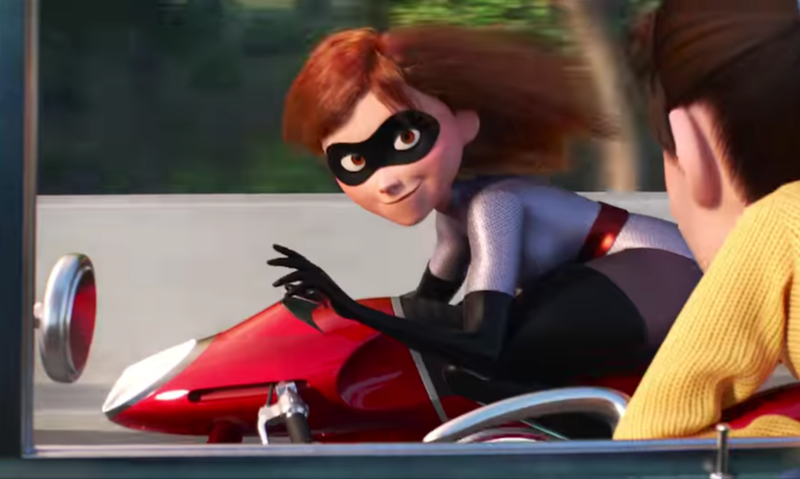 Incredible to Elastigirl as the hero in this one, as she’s trying her best to be the hero that everyone needs, but still being torn from home, where she’s more used to being mom. Meanwhile Dad has to deal with Jack Jack’s new powers, which eventually leads to an amazing and hilarious scene with Edna Mode. Frozone also goes from being a quick blip, to being more of a supporting character, which makes me want to see a complete Frozone Adventure on it’s own more than ever. Even the villain, which is still somewhat predictable, gets a great James Bond villain feel, and is on point. The great thing about The Incredibles is that I (and probably many others) connected with it on a personal level, especially having a young family. My kids were little, and I was into a first marriage that would seemingly never end. It was all I could do to keep things going, as my responsibility dictated. The line “I CAN’T LOSE YOU AGAIN” brings me to silent tears every time, because that was me. I was Mr. Incredible (minus the muscles and powers) and I was just trying to protect things on my own. Incredibles 2 gives the same emotion, because things happen and mom’s not in the picture. And dad is just trying to keep things together and running smoothly, all while watching the kids grow up, and trying to give them a world where they are free to make the choices they want. While Pixar is best when they are telling original stories, and not always sequels, The Incredibles 2 is the rare exception where the sequel is just as good if not better than the original. It does everything that the first film does, without being a retread and expands on the world to the point where you actually feel like you belong in it. While we do want more original storytelling from Pixar, another Incredibles movie better not be far behind. Of course, there’s also the short film Bao which is parenting in eight minutes , be sure to check out our review of that as well. 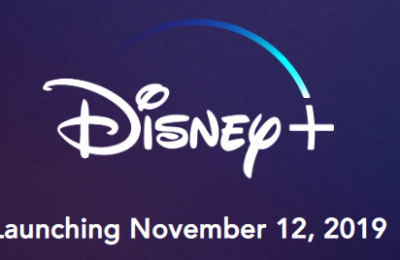 Stay tuned for more from Disney, and be sure to get social with us on Facebook and follow along with us on Twitter @BehindThrills for the latest updates! 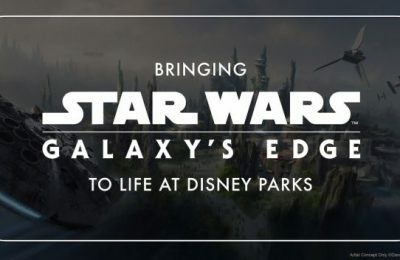 Watch the Star Wars Celebration Galaxy’s Edge Panel Live!